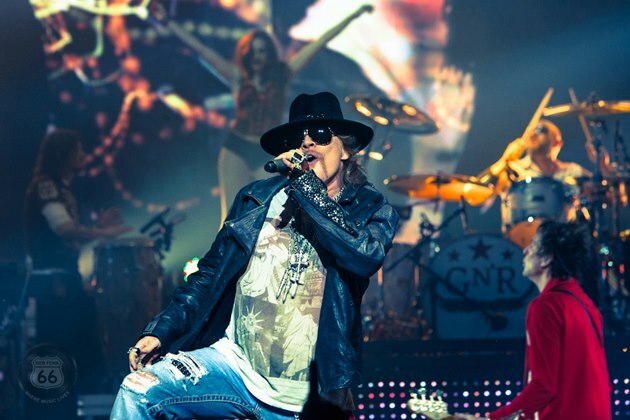 Guns N’ Roses have announced two new U.S. concert dates. The band will play the Lonestar Amphitheater in Lubbock, Texas on June 1, and The Midland by AMC in Kansas City, Missouri on June 2. Ticket information for the Lubbock show has not yet been released; tickets for the Kansas City concert go on sale on April 26 at 10 a.m.
GNR now have five (5) U.S. shows on the schedule for early summer.